Maria Avila is a faculty member in the Master of Social Work program at the California State University, Dominguez Hills. She is a member of Imagining America National Advisory Board. Avila’s research focuses on participatory action research with faculty and with community partners, aimed at creating democratic, civic engagement inside and outside of higher education institutions. She was Director of the Center for Community Based Learning at Occidental College from 2001-2011, having earlier worked as a community organizer and a social worker in Mexico and in the US for over 20 years. Prior to working in higher education, Avila was a community organizer with the Industrial Areas Foundation, the international network founded by the late Saul Alinksy in the 1940s. She has performed volunteer and consulting work with a number of organizations, including Partnerships to Uplift Communities, the Northeast LA Education Strategy, the City of Los Angeles, Imagining America: Artists and Scholars in Public Life, and the Council for Social Work Education’s Council on Global Issues. 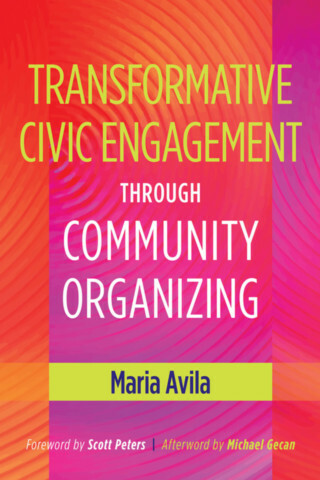 Avila has given numerous talks and workshops in the topics of civic engagement and community organizing at national and international conferences and venues, and has published several book chapters and journal articles.